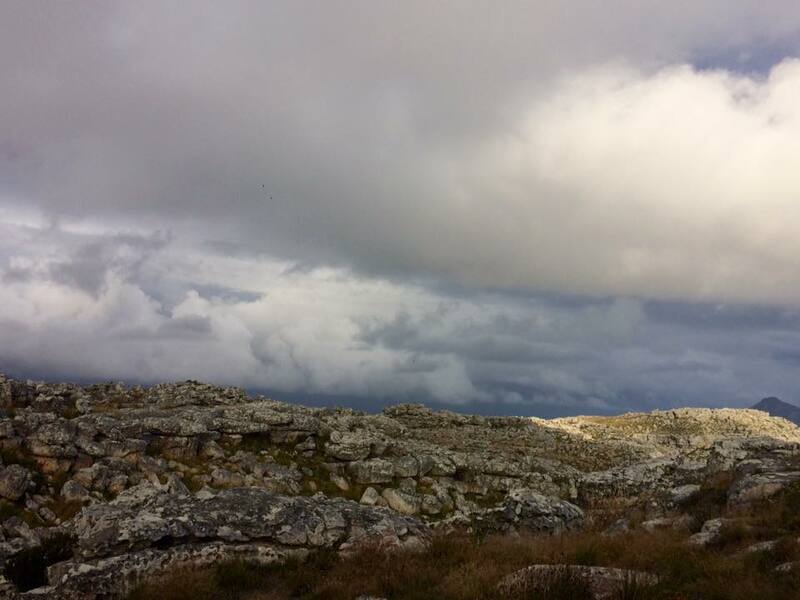 Twenty-six trailers turned up on a blustery day to run a route we haven’t been on in a while. 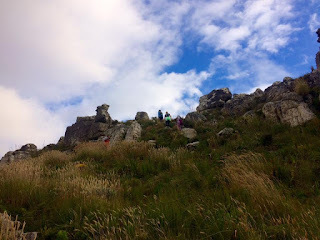 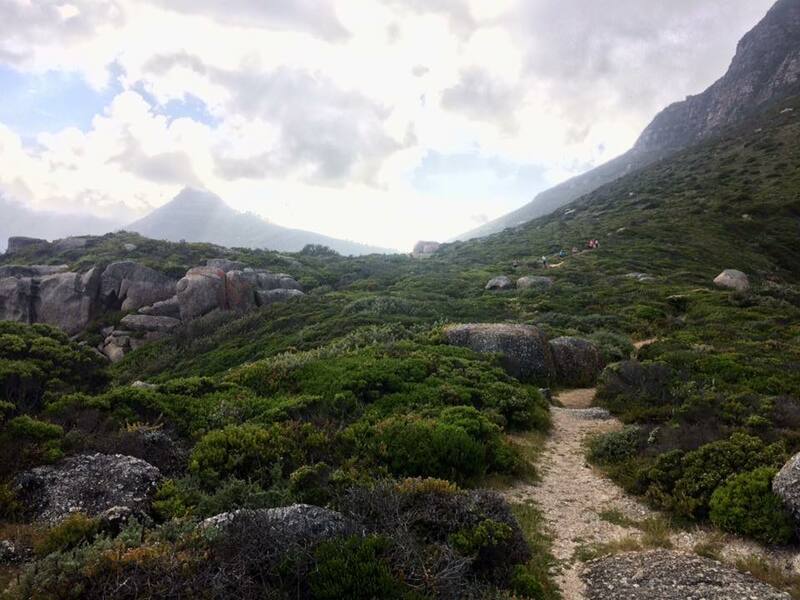 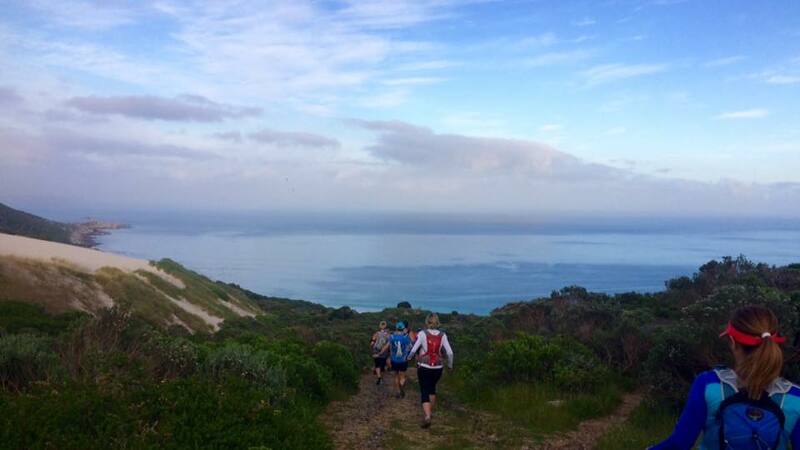 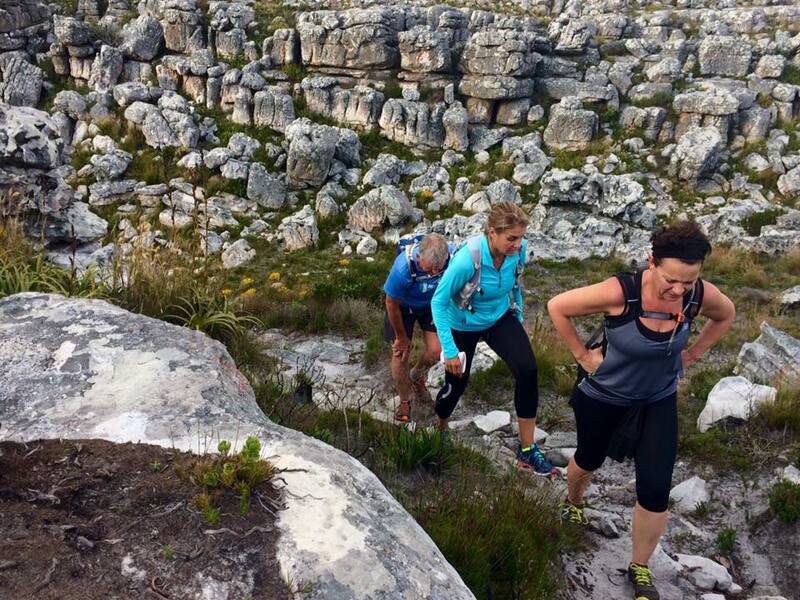 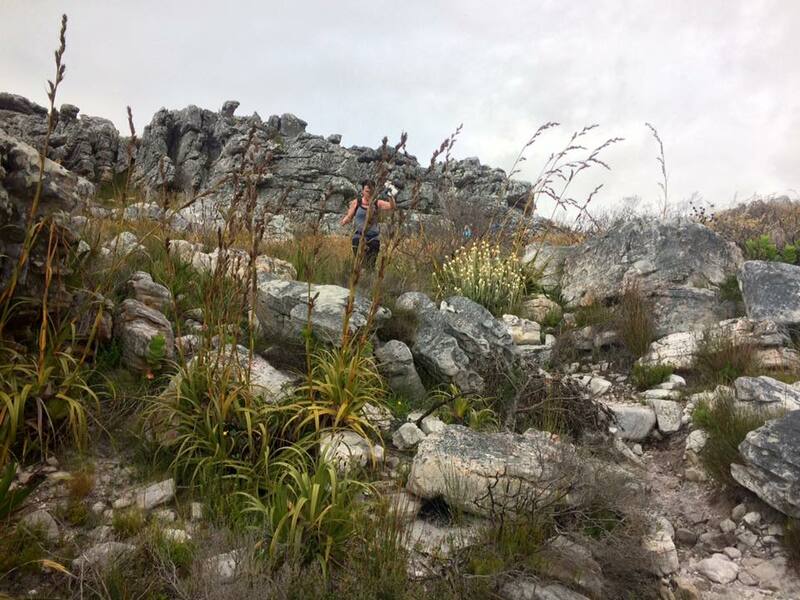 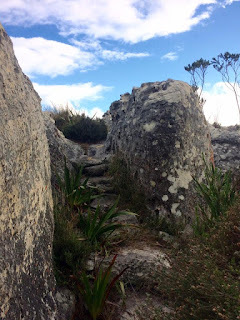 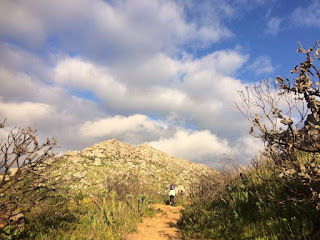 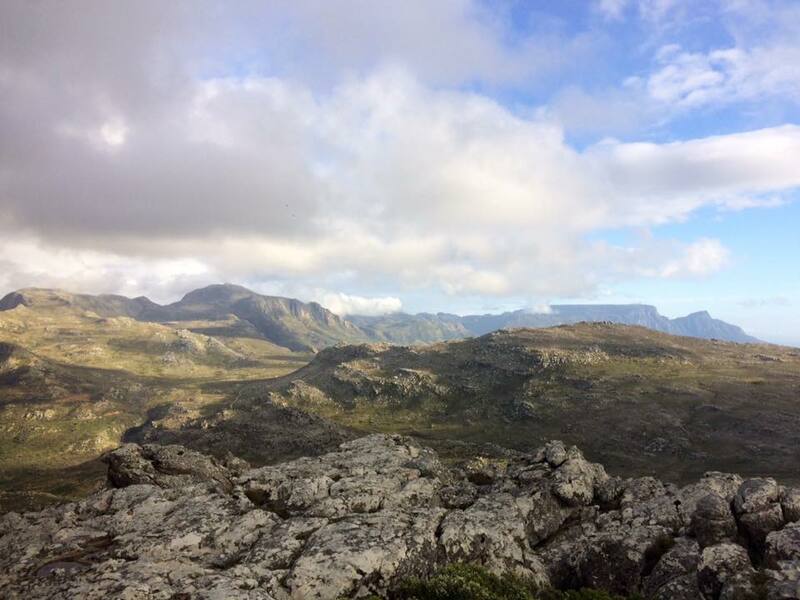 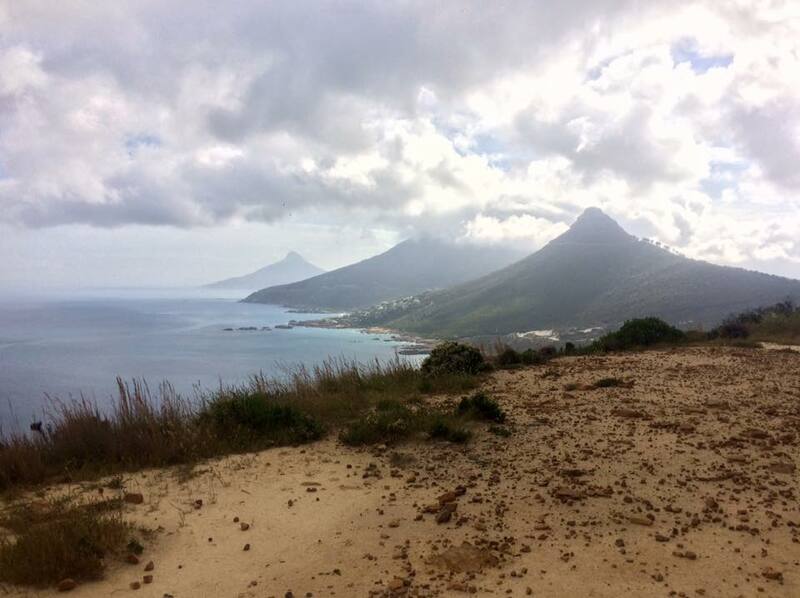 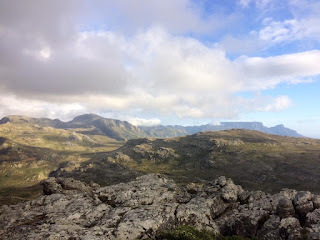 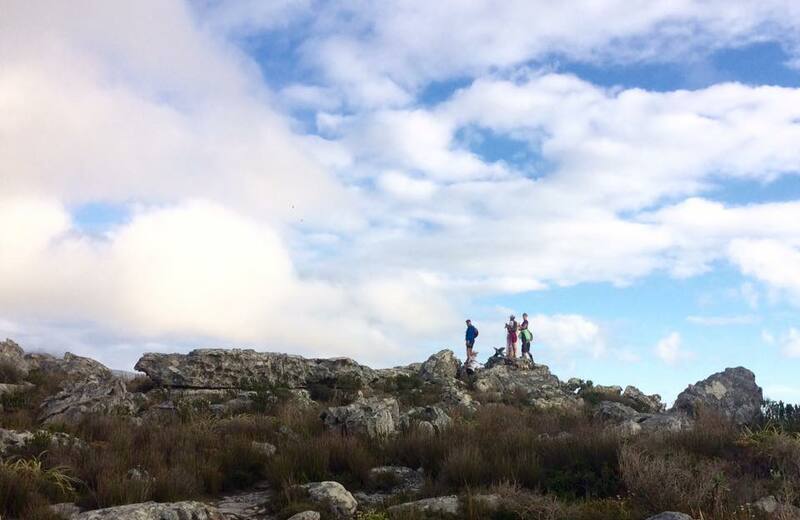 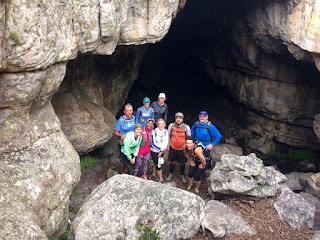 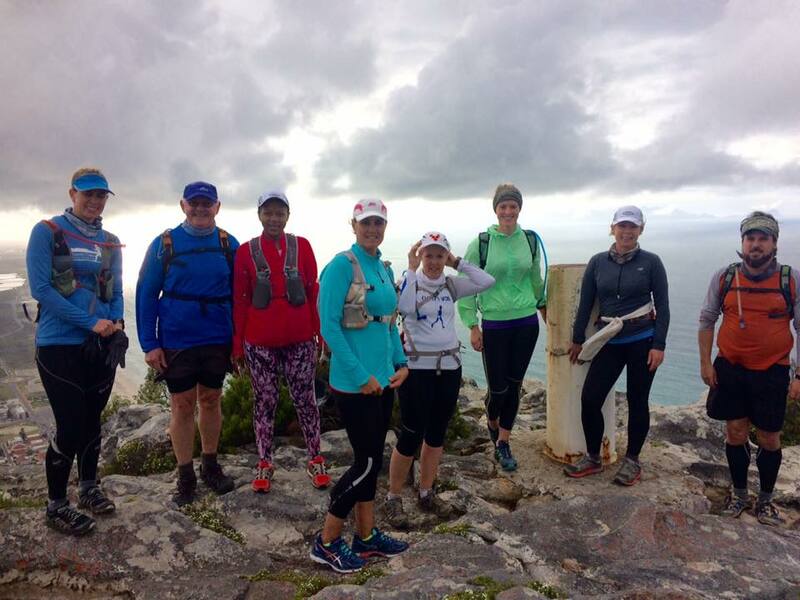 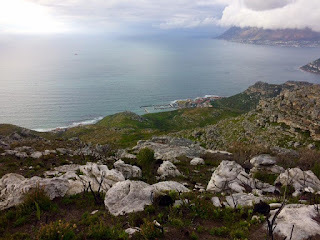 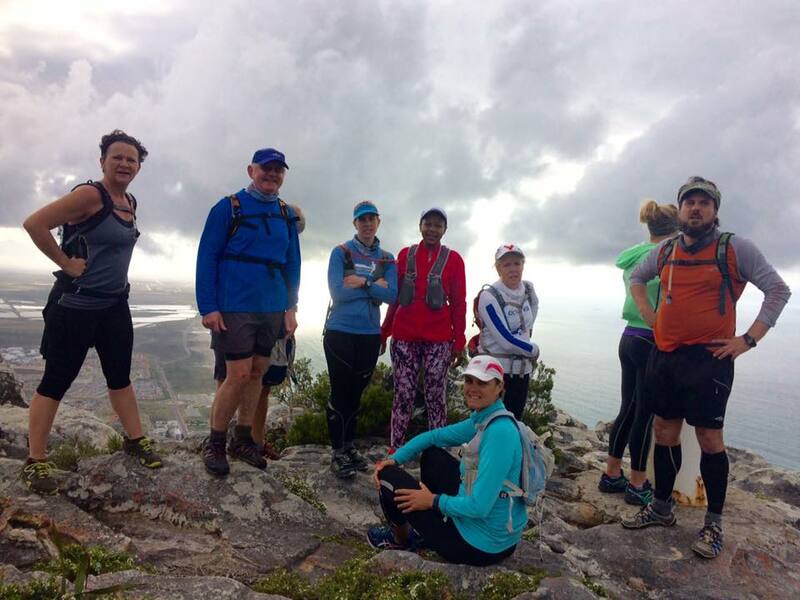 All three groups did a variation of the Steenberg Ridge/Blackburn Lookout/Panorama/Noordhoek Peak or Ampitheatre Path. 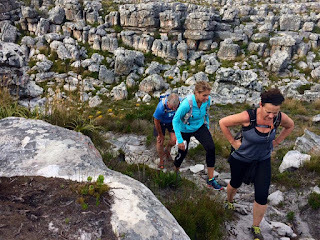 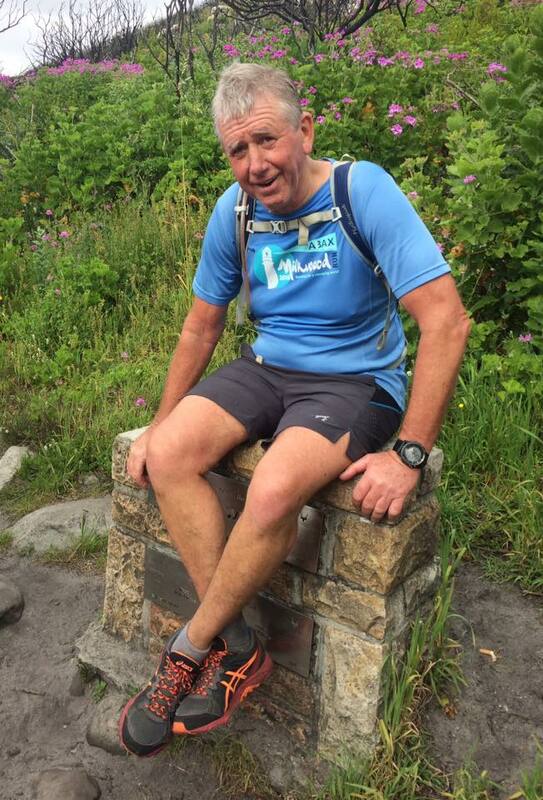 A short run today but a quality run with lots of climbing. 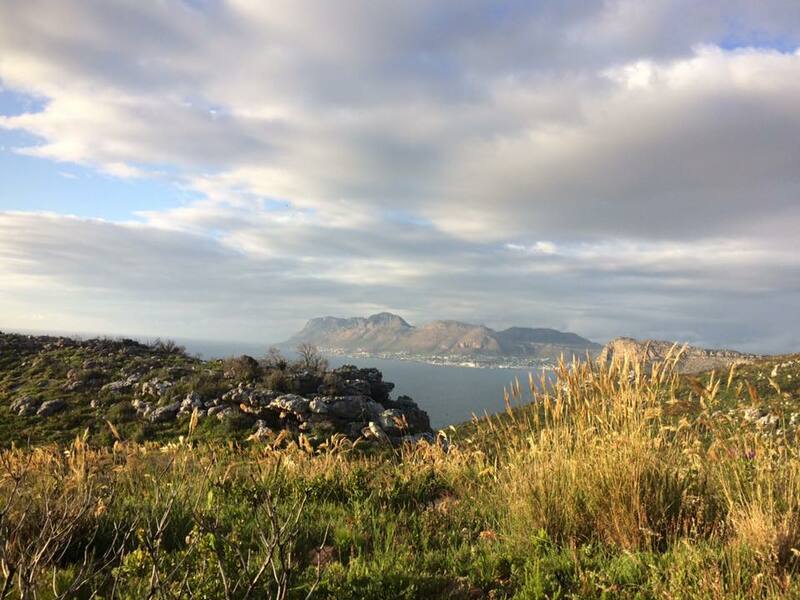 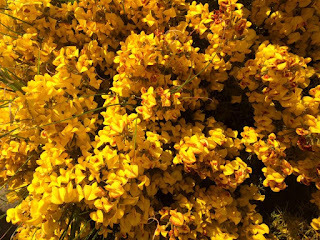 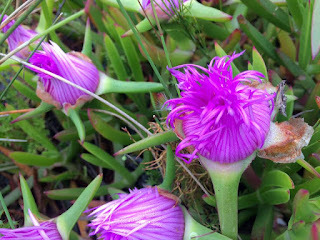 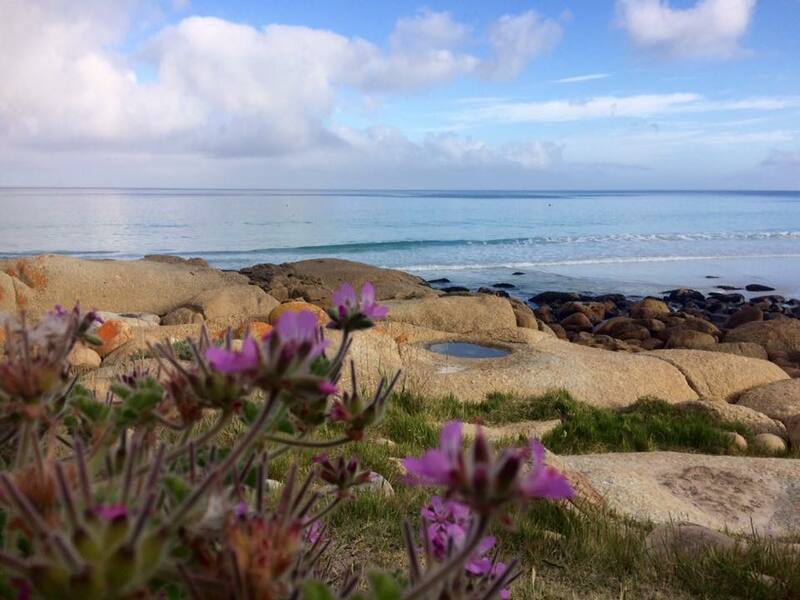 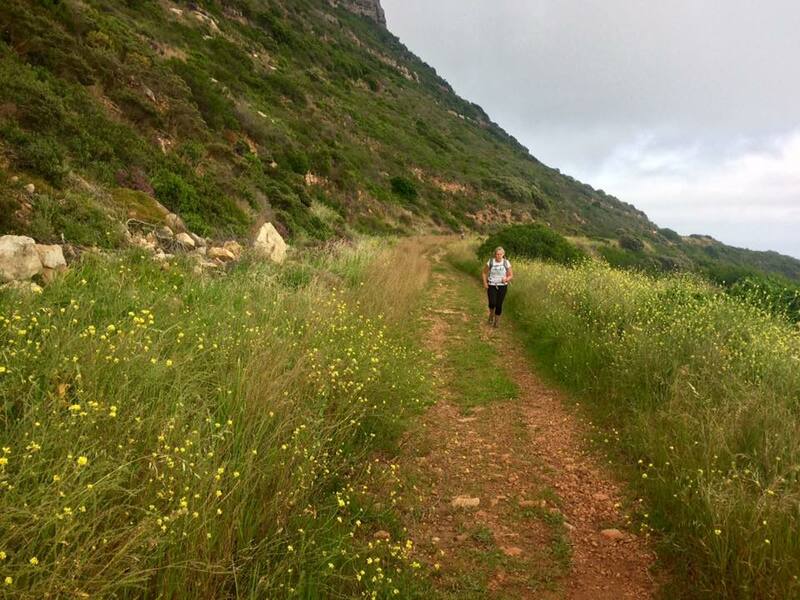 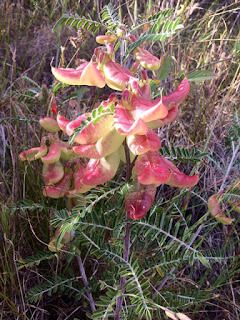 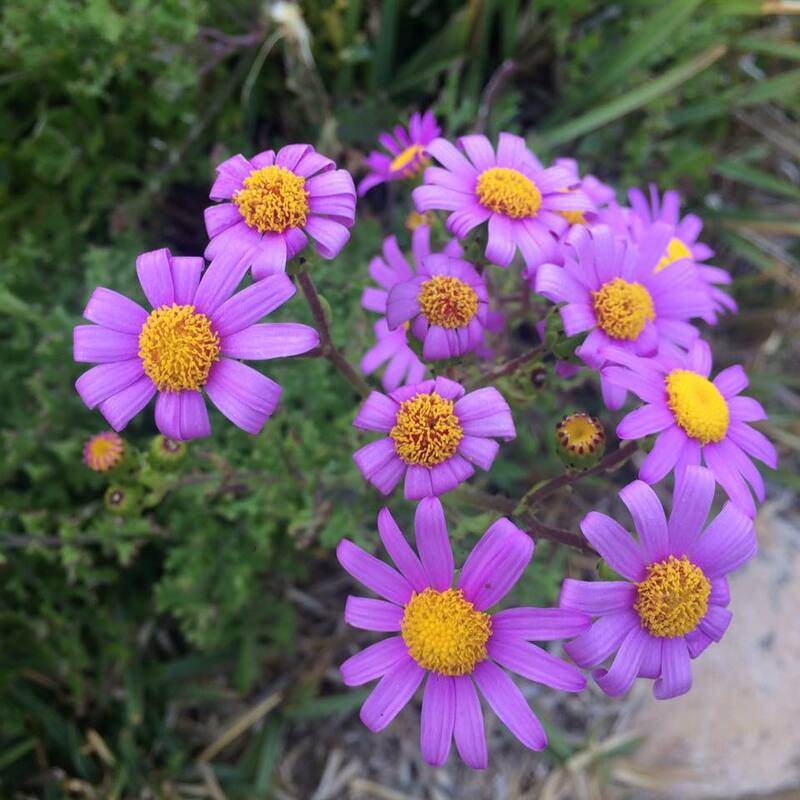 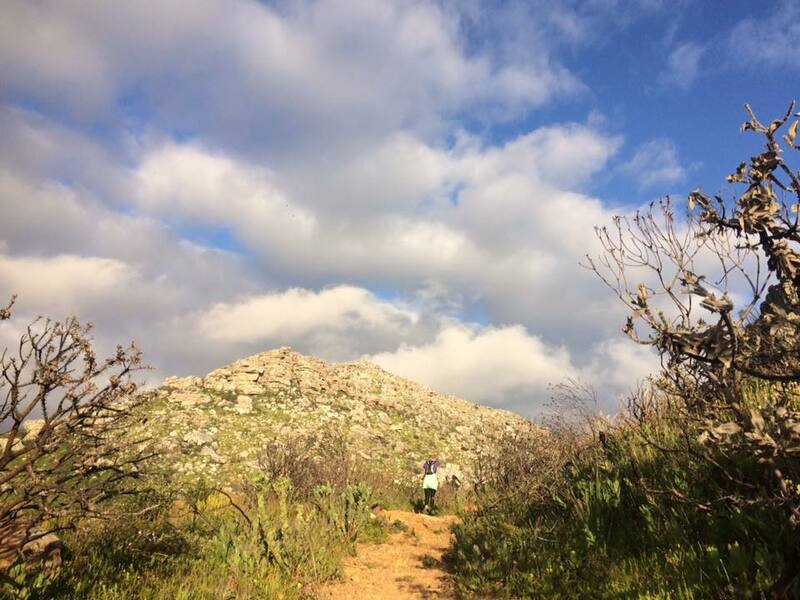 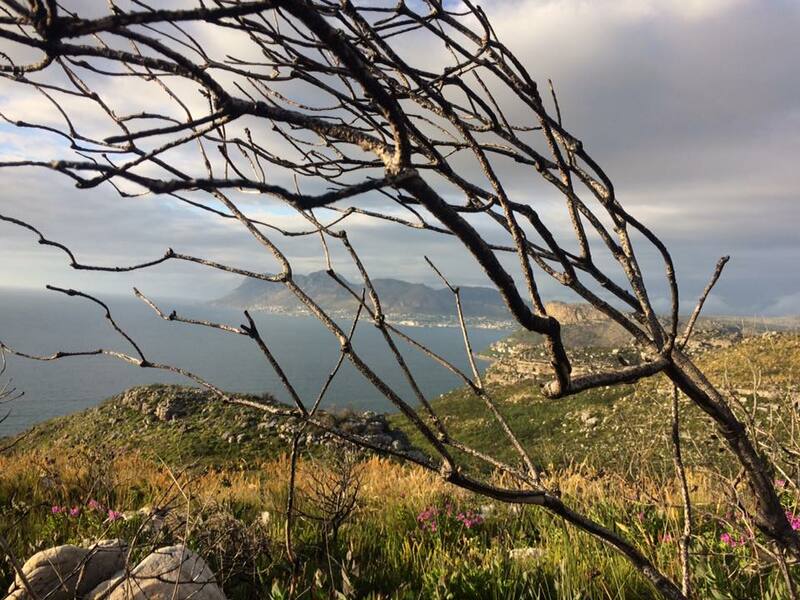 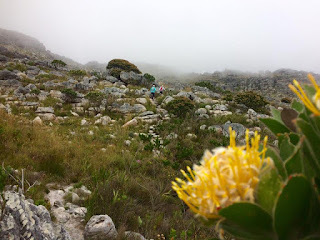 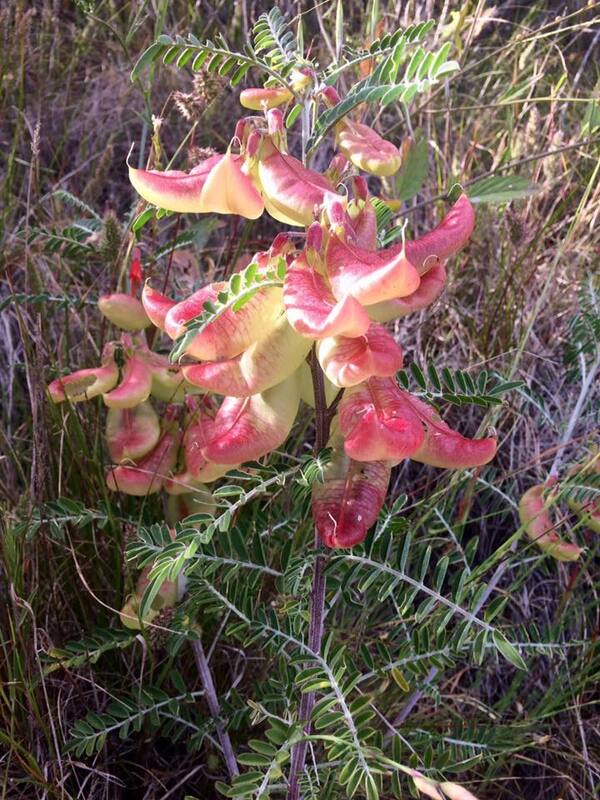 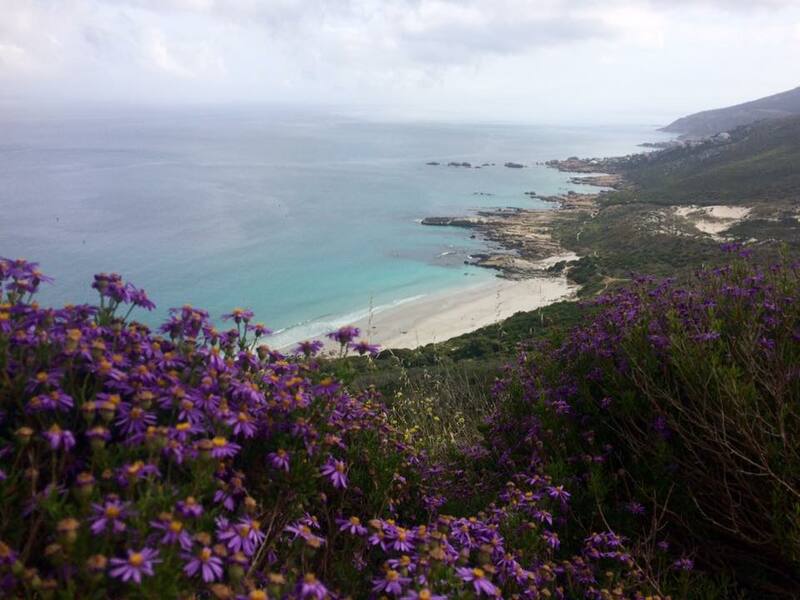 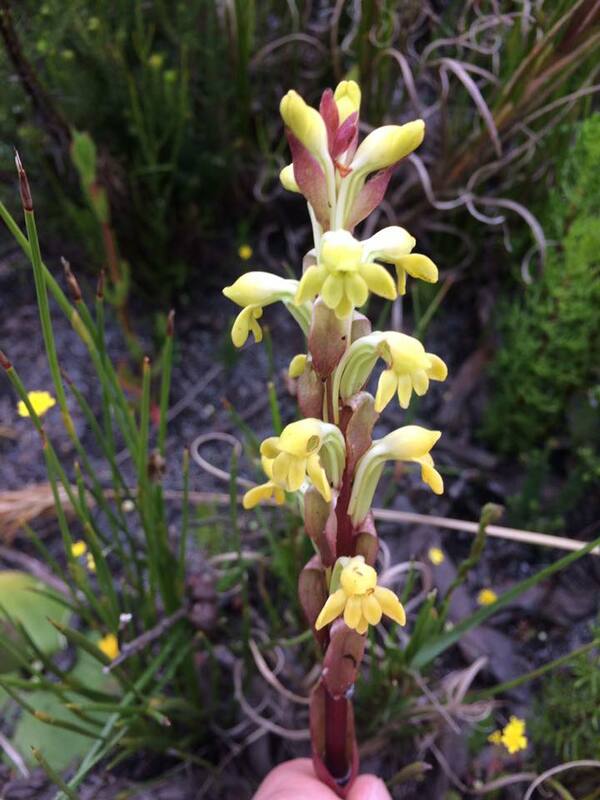 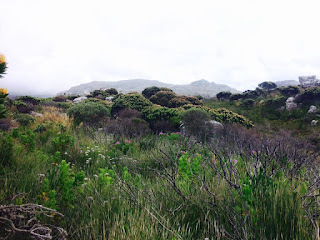 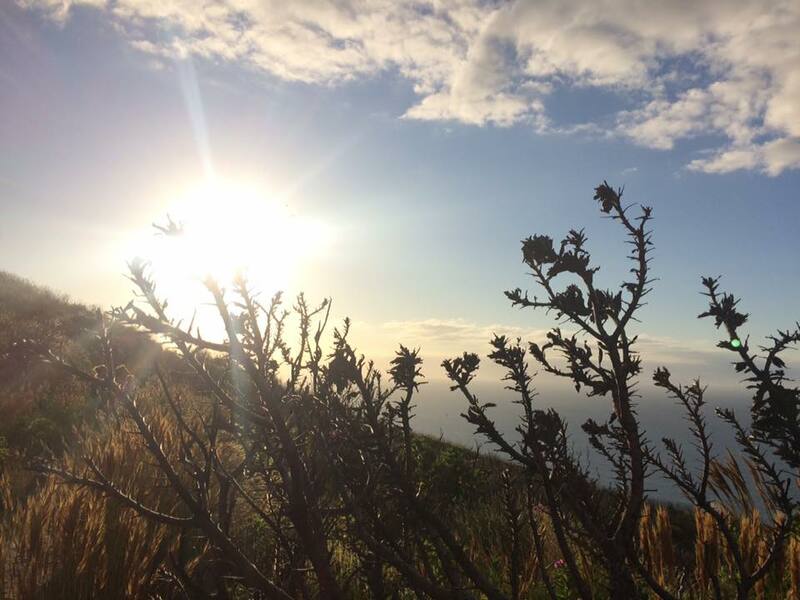 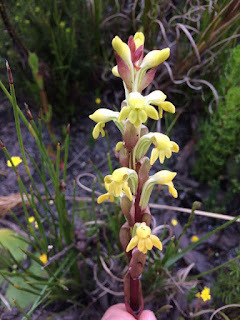 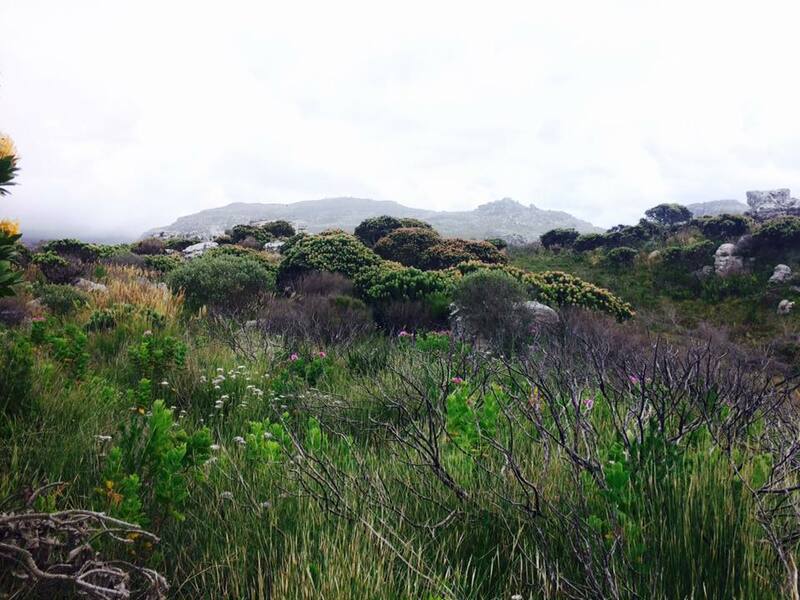 It was lovely to be back in Silvermine with its gorgeous views and Spring flowers everywhere. 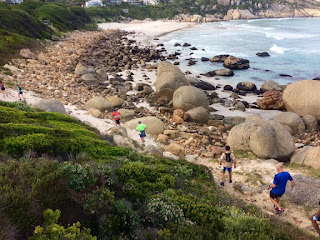 The Main Group did 10.5 km in 1h58, the Medium Group did 10.4 in 1h58 and the Slow Group 9 km in 2h14. 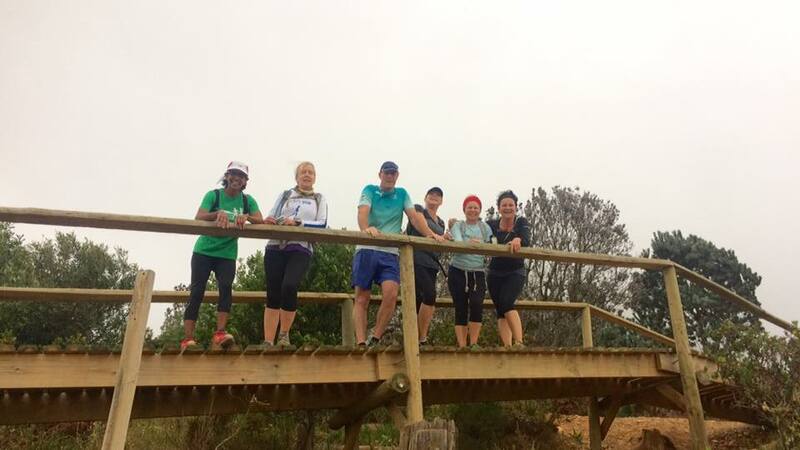 Thanks to all the leaders Gregg and Tamsin, Gae and Liz, and Peter for another fun outing. Thanks to Liz Brash for her wonderful documentation of today’s run and to the Trailers for joining me on my 100th run! 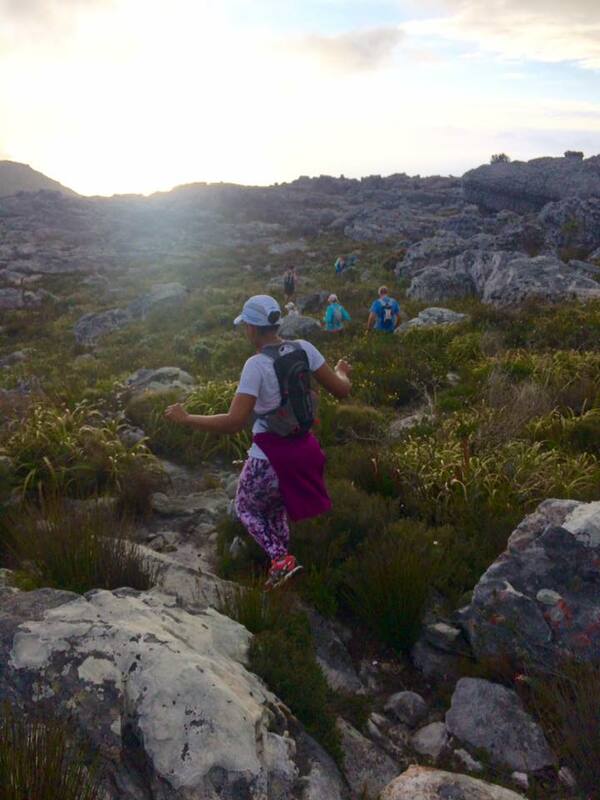 FEEDBACK: Saturday 22nd October, Groote Schuur Estate and Newlands Forest. 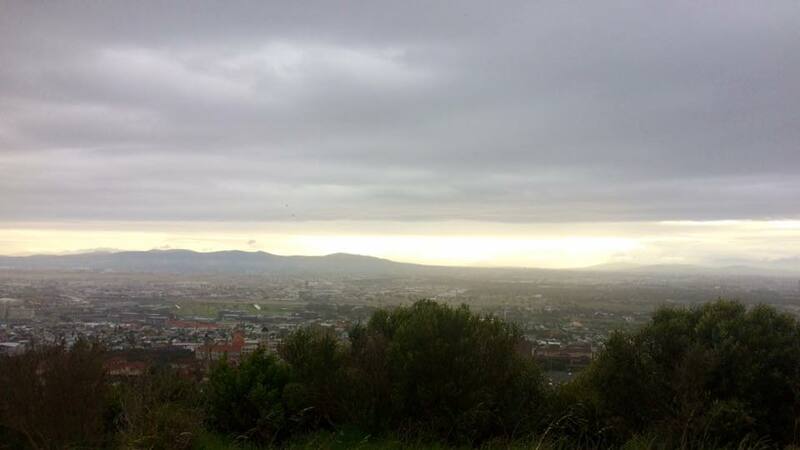 Twenty-eight turned out on a gray spring morning with rain threatening the mountain area behind Newlands. 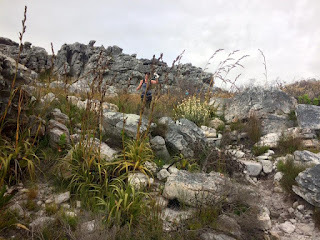 As usual we divided into the customary three groups and headed up the hill towards Rhodes Memorial. 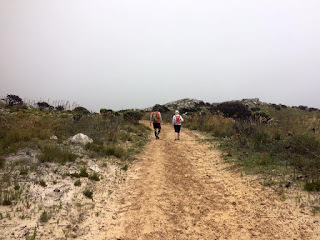 Then onto the gravel track that skirts around Plumpudding hill to be met by a strong Westerly wind as we trudged up "Heartbreak Hill". 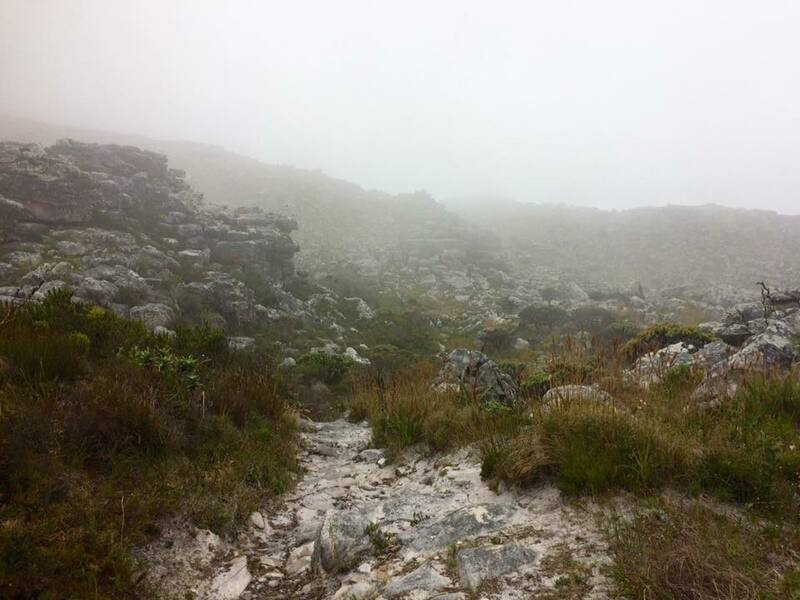 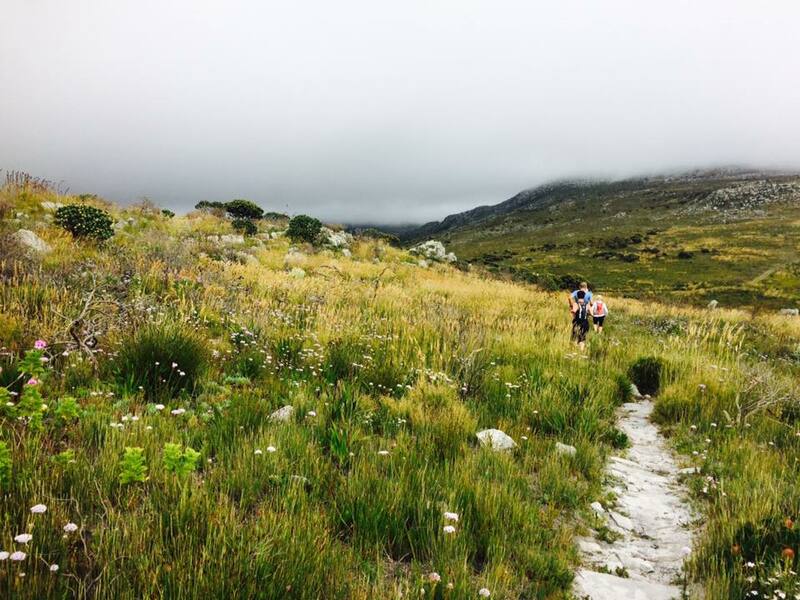 Then the scramble up the short cut as the rain began to fall and onto the contour path that leads all the way through to Constantia Nek. 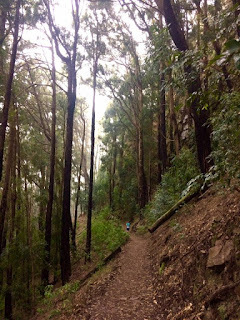 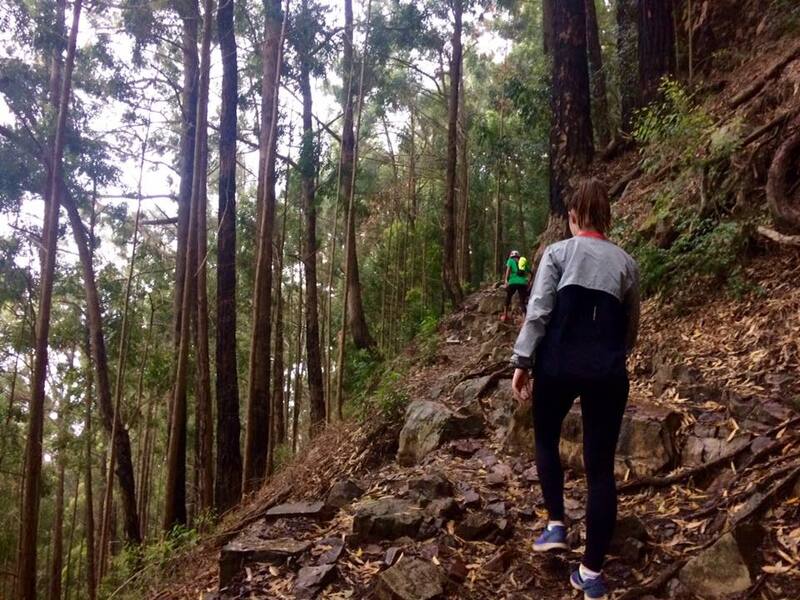 Unfortunately the promised stunning views where were masked by the low cloud but there is something magical about rain falling through the trees as we splashed along the trail. The board walks seemed particularly slippery but fortunately no tumbles reported. The fast group turned down at the "big boulder" and made their way back to the start. 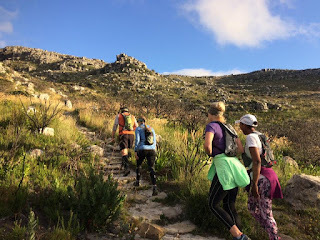 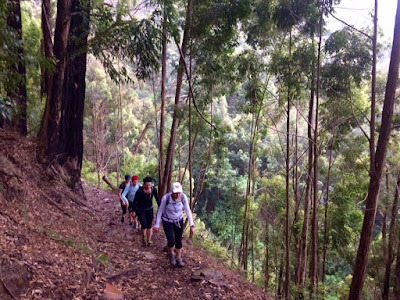 The Medium group followed them a few minutes later while the slow group following their shorter route discovered new versions of the Newlands Trail with the help of two strangers who were no strangers to this area. Special mention: Tamsyn completed her 75th sortie. Today we had perfect conditions for one of our really lovely scenic routes. 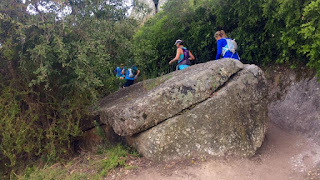 30 of us met in the car park and after a short briefing, all three groups set out from the Eustagia Way parking. 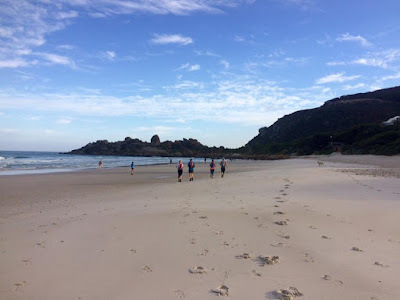 A slow and short uphill on the brick paved road and then it was a downhill jog on some nice soft beach sand. 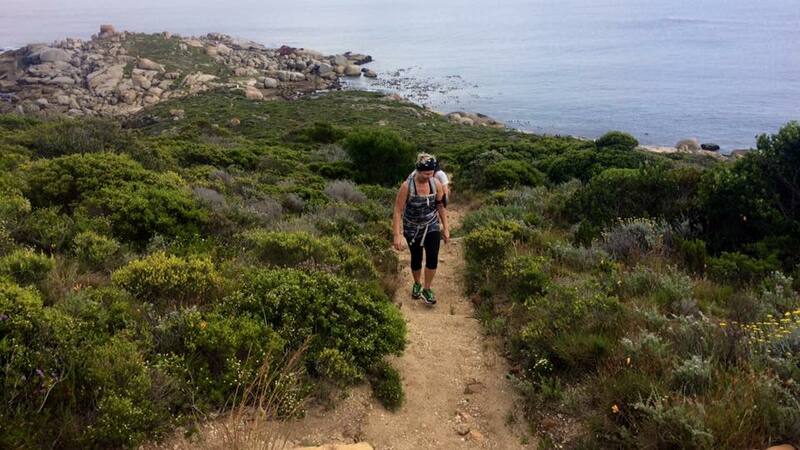 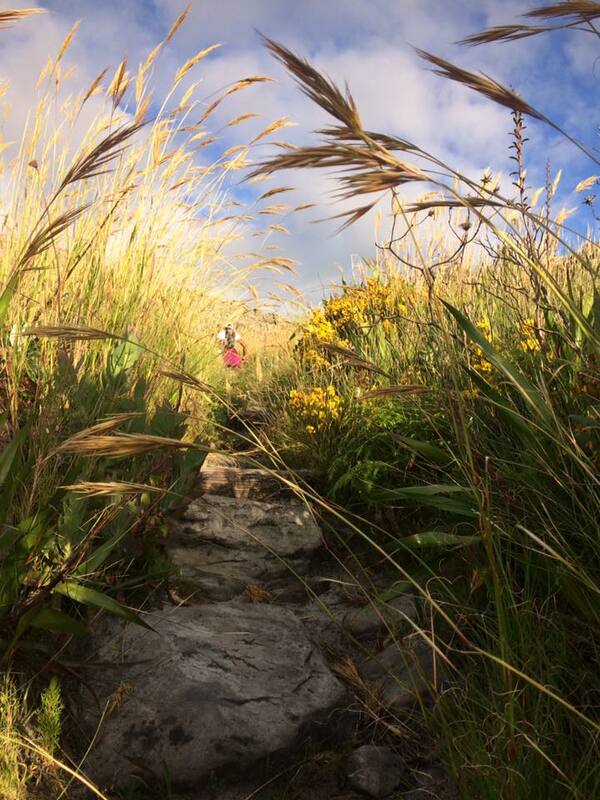 We then made our way along some single track towards Llandudno Beach. 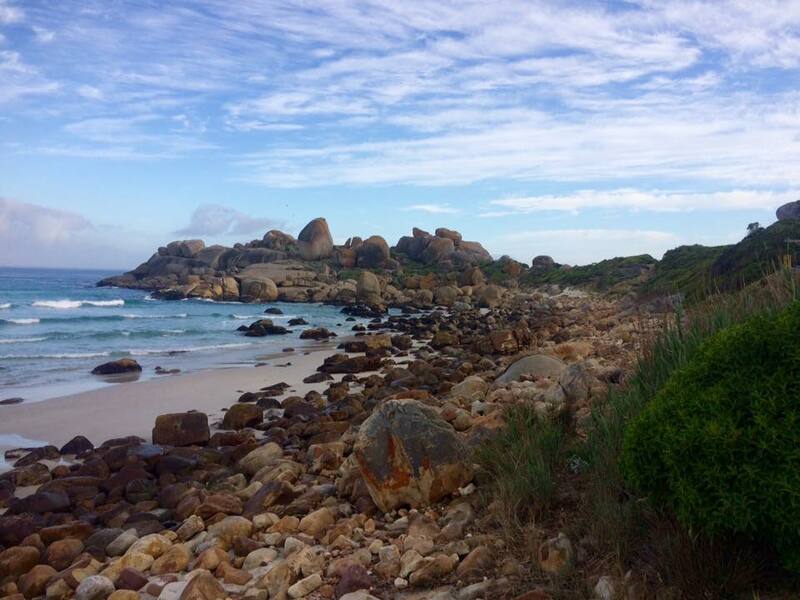 Each group ran their own distance along the beach, a little boulder hopping, and then returned the same way before heading to Sandy Bay. 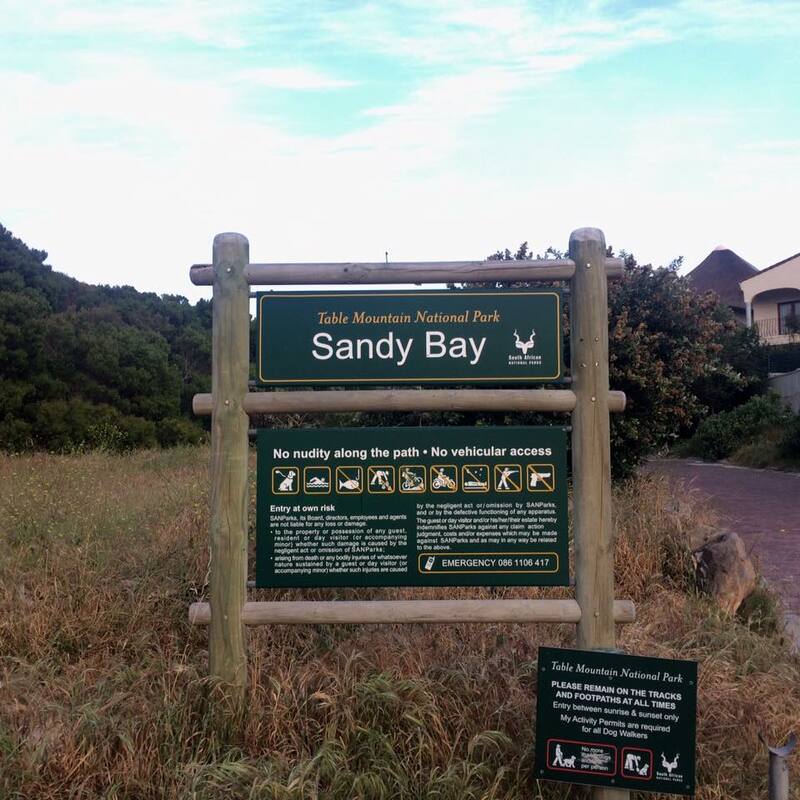 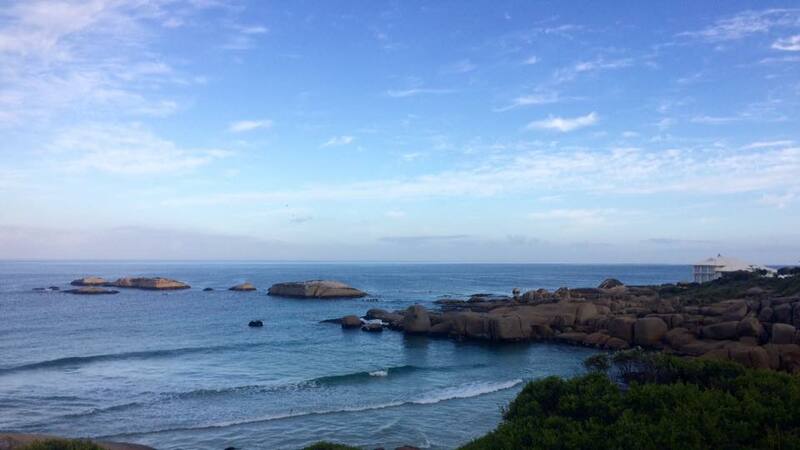 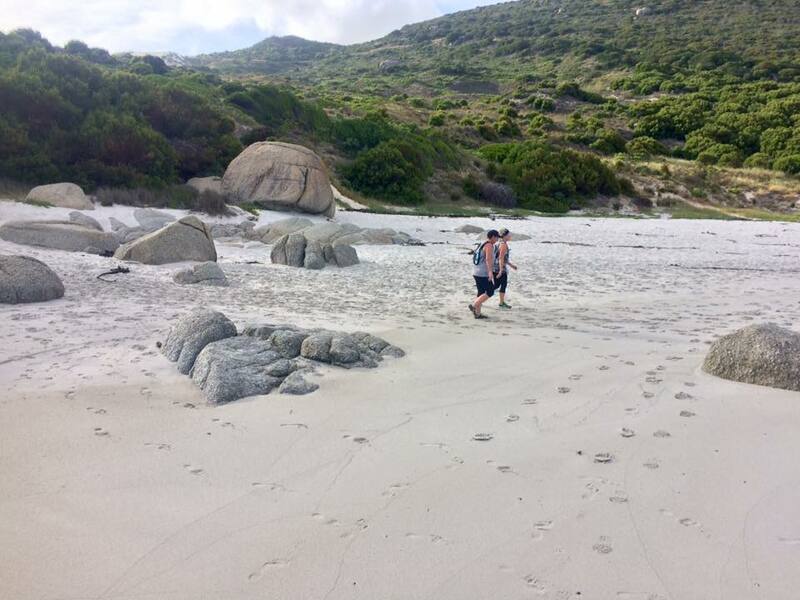 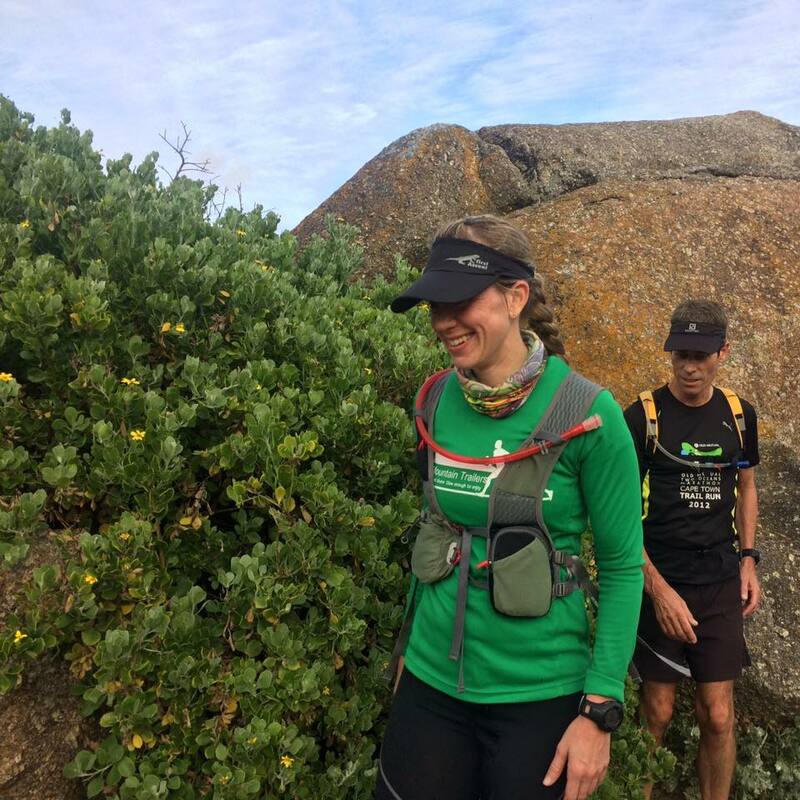 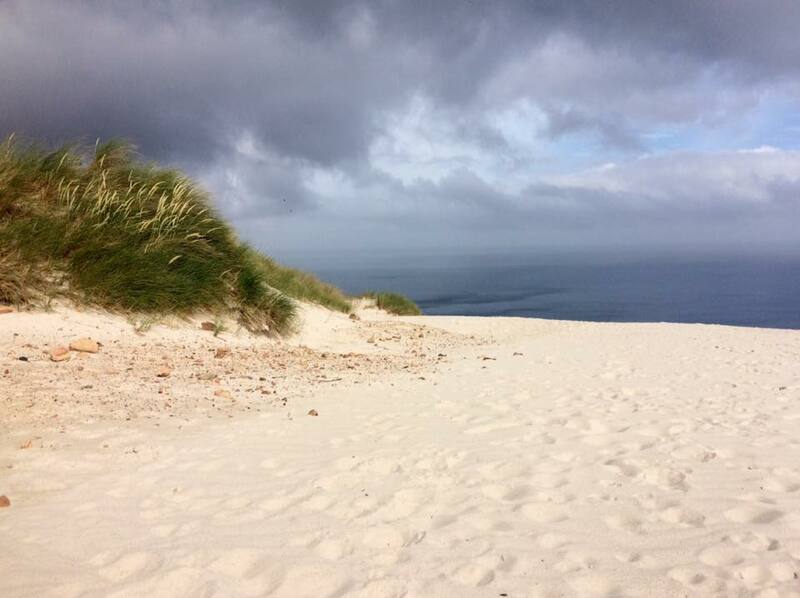 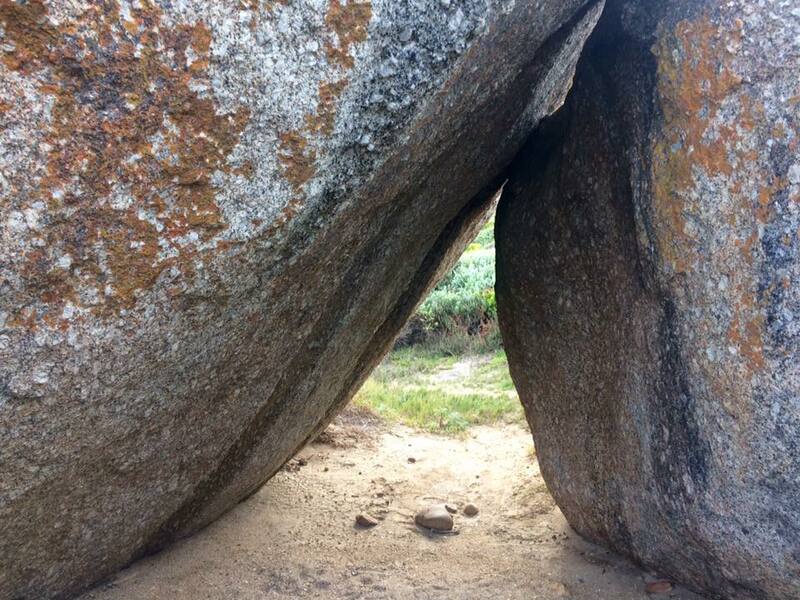 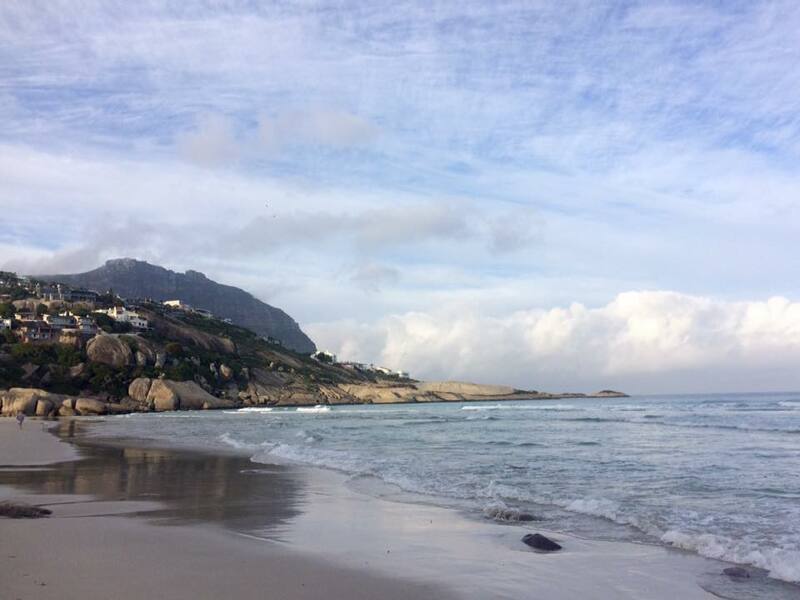 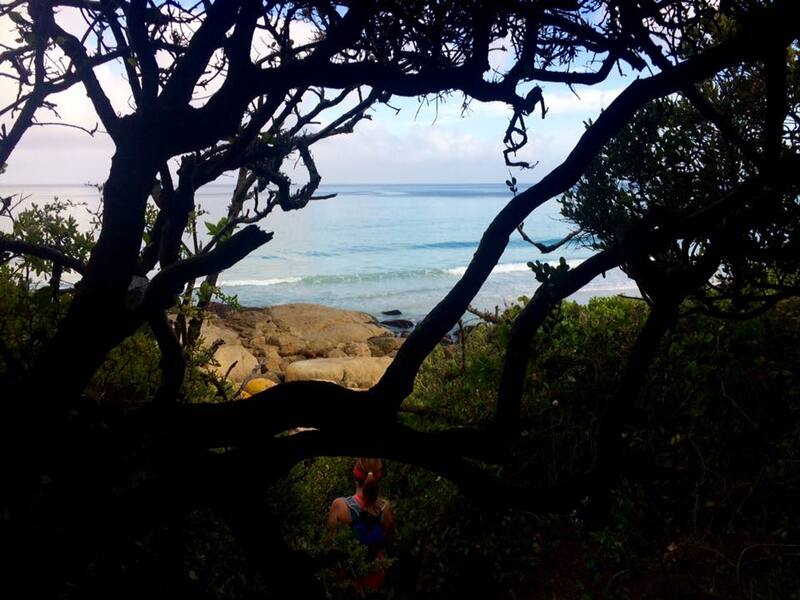 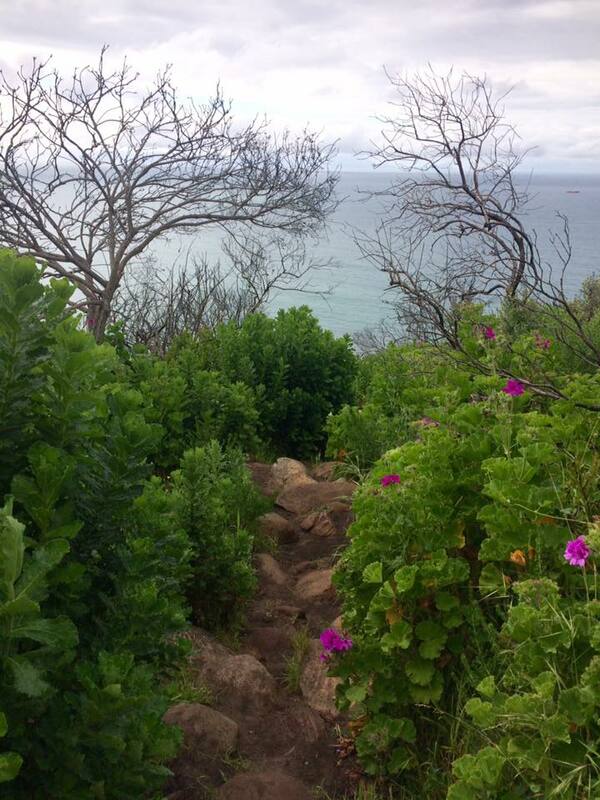 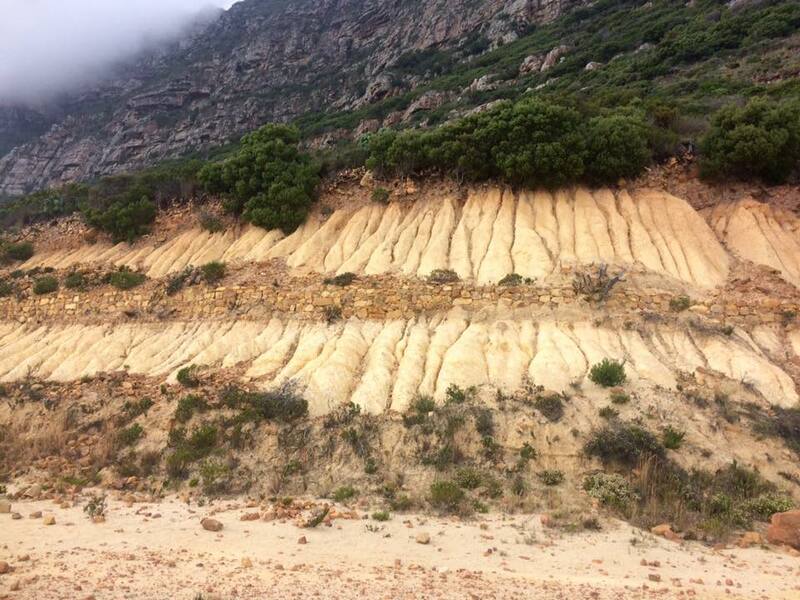 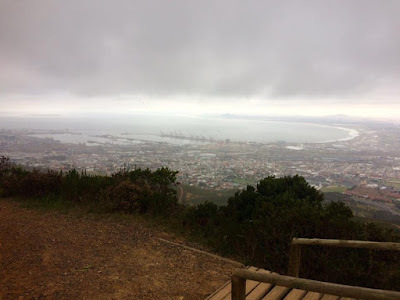 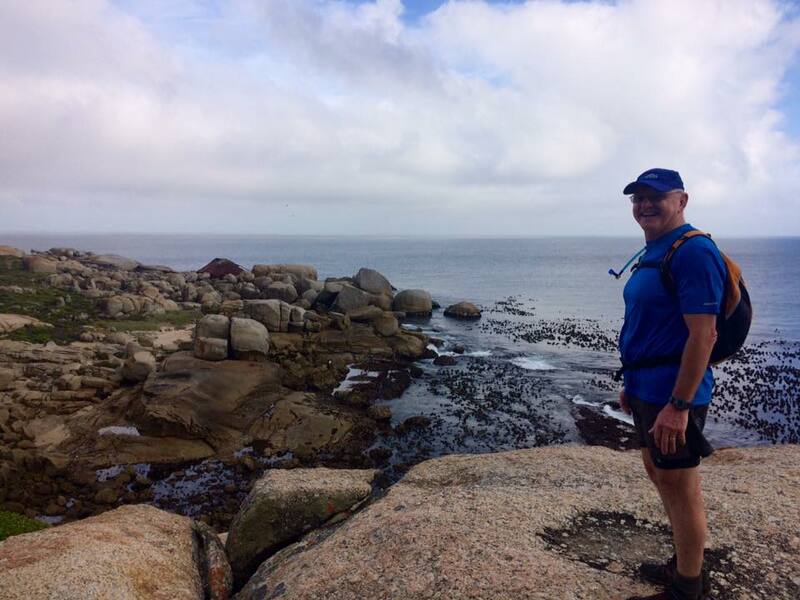 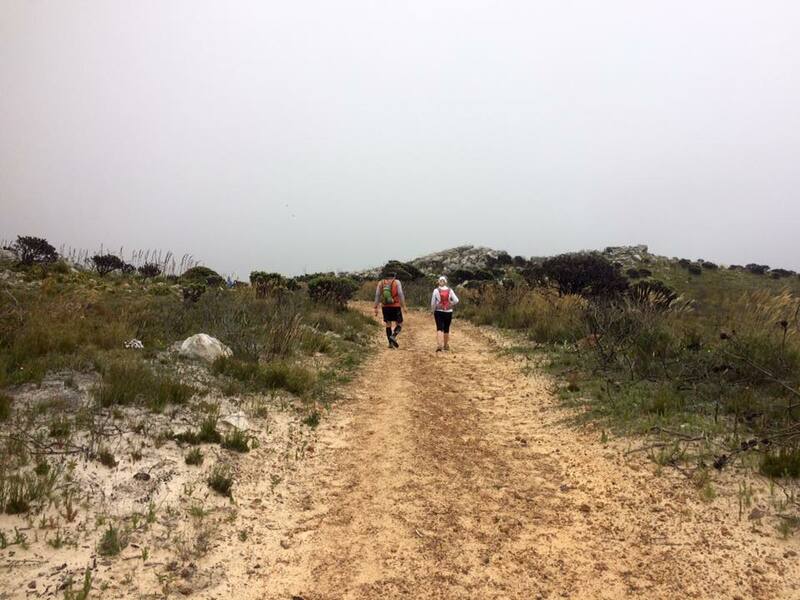 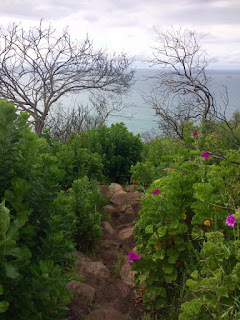 We did a bit of bundu bashing to find the path from the beach to the single track, and then some undulating running along the coastline until we came to see Oude Schip. 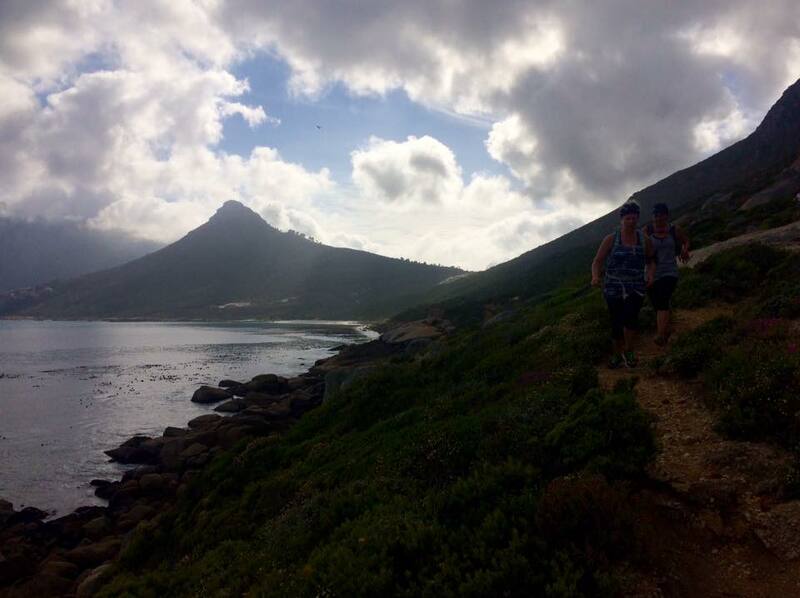 Some runners went to the end of the peninsula, while others headed towards the final slow climb up to Rocket Road. From there we continued along the road, and made our way back to the cars. Distances completed by the various groups were Fast group: 12.9km, Medium group: 11.4km and Slow group: 7.5km. 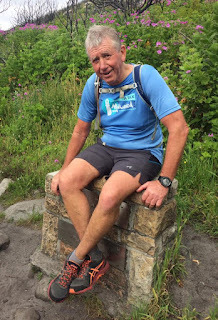 Pete also reports that the Slow group had a really enjoyable run with no incidents other than 'losing' Randolph on the island, but all ended well. Some may have noticed the odd windowless stone building to the right near the top of the climb up from the island. 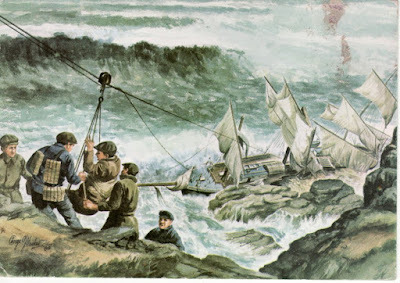 This was the Rocket life saving apparatus store that was used to rescue the crew of ships that had run aground. 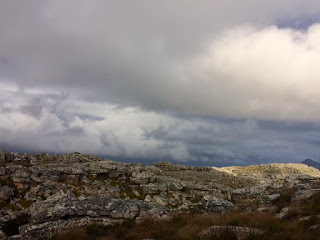 A fairly small group of trailers arrived at the meeting point this chilly warning, hoping to beat the threatened rain. Gaeleen took the first of the photos as she was there as the sun rose over the ocean. 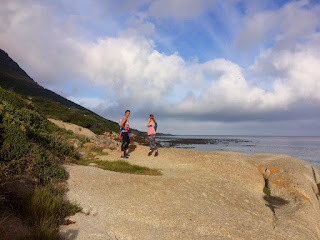 This was Theo's first run as Sortie Manager and he was not gentle! 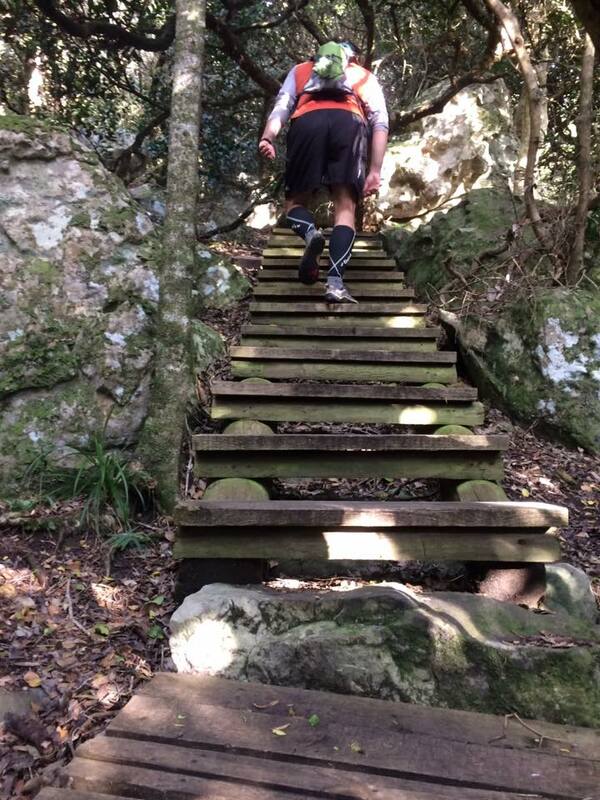 The initial climb up from Boyes Drive to the top of the mountain was tough. 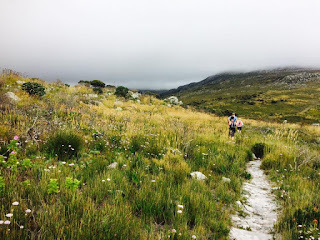 According to Emdomondo, we climbed almost 500 m in the first two kilometres before the meandering tracks around the top of the mountain allowed us to rest our legs a little. 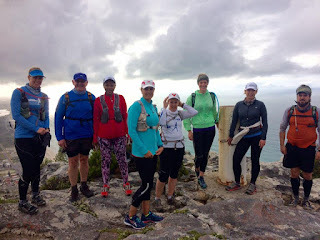 Although the whole distance was just under 11km for the medium group, it still took us 2 hours 45 minutes to complete. 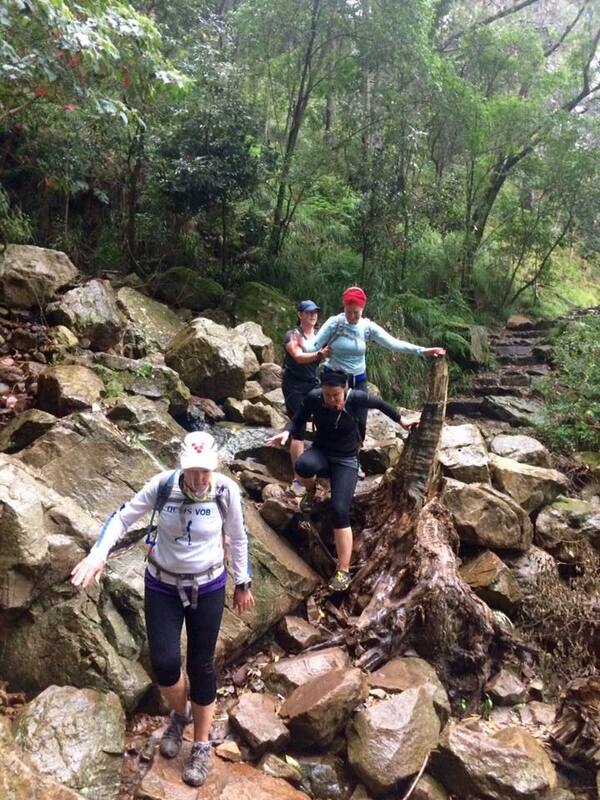 The trail was highly technical almost 100% of the run. 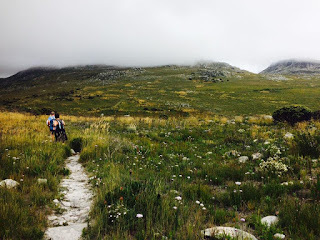 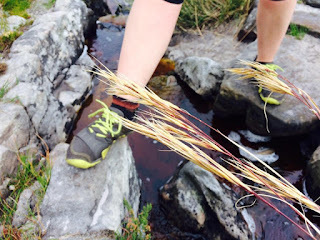 We took in two of the three peaks we aimed for and the pictures will tell the rest of the tale. 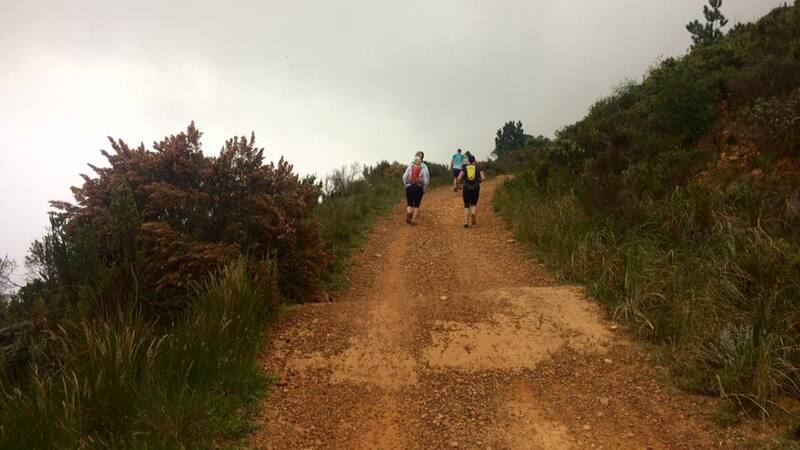 We made it back to the cars just before the weather broke, with the fast group and the walkers still to come in. 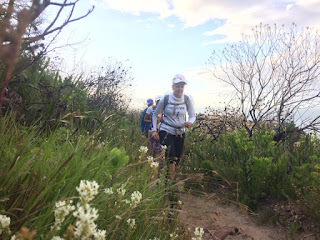 Final numbers to follow. Photos by Gae & Lorraine.